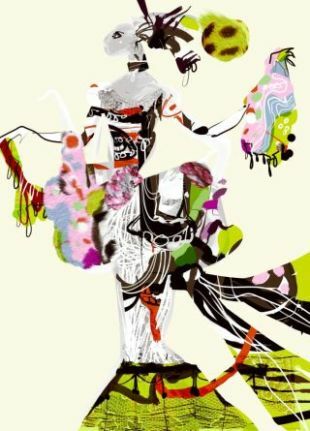 Illustration by Christian Lacroix, taken from Christian Lacroix and the Tale Sleeping Beauty by Camilla Morton, courtesy of It Books 2011. 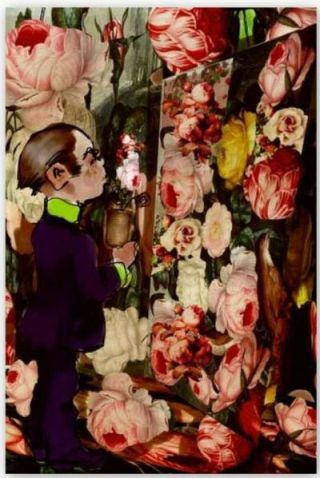 The first in a new series of fairy tales and fashion, Christian Lacroix and the Tale of Sleeping Beauty is a gorgeously illustrated book that alternates between the lives of Sleeping Beauty and Christian Lacroix. 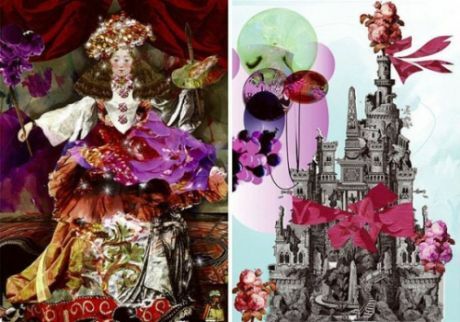 I am not much for haute couture and know essentially nothing about Christian Lacroix, but in the name of What’s Old is New and fairy tales, I decided to pick up Christian Lacroix and the Tale of Sleeping Beauty. 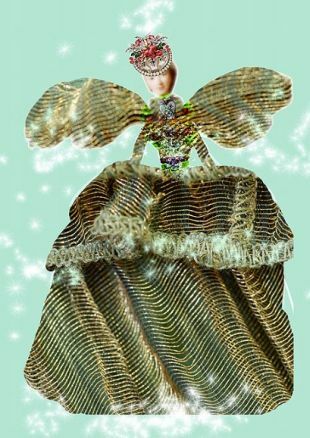 The storyline alternates between the lives of Christian Lacroix and Sleeping Beauty. Sleeping Beauty’s story is the fairly standard, somewhat Disney-fied version, rather than the darker original Grimm version. Lacroix’s story is also like something out of a fairy tale, his steady but meteoric rise to the pinnacle of fashion. I might not have been interested in reading a simple biography of Lacroix, but I was fascinated to learn more about him in this context. 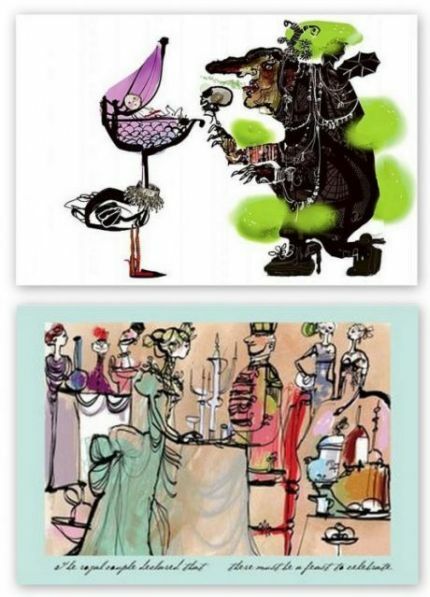 Part of the charm was the interspersing of his story with the familiar fairy tale, but an even more integral part were the gorgeous illustrations, done by Lacroix himself.